← Have Arsenal finally broken the jinx? After Marquez, I read a great number of Latin/South American literature: Isabel Allende, Mario Vargas Llosa, and Joao Guimaraes Rosa, whose ‘Grande Sertão: Veredas (translated as ‘The Devil to Pay in the Backlands’) is one of the best books I have ever read: open this book at any page and read a few sentences and you will find it is pure beauty. Adding beauty and magic to life is one of humans’ greatest gifts, but it takes a lot of effort and focus to do so, as well as being able to see and appreciate it. By now the more impatient readers of Bergkampesque will be asking themselves: but what has this got to do with football? And my response to this is: everything and nothing. The quest for beauty – whether in football or life in general – is important to me, as it compensates for all the horror, sadness and injustice we get confronted with in our daily lives. Beauty is the brother of human warmth/love, and without these two what would life mean? As a Dutchman, and in stark contrast to most of our 20th century literature, I was lucky enough to grow up with magical football. From the dazzling Dutch National team of Cruijff and Michels in 1974 to the Ajax teams in the seventies and mid-nineties, I have truly been spoilt by the beauty of (total) football. Regulars on BK know that Dennis Bergkamp’s move to Arsenal – who for me, and I know many others, was the on-field personification of beautiful football – led me gradually to our beloved Arsenal. Dennis would not have become such a club legend without the guidance and football philosophy of Arsene Wenger. But this goes also the other way: without Bergkamp, Wenger would not have been able to implement his beautiful Wengerball with such impact and success rate. Gradually, however, the beautiful vision and skills of the wunderkind from Catalonia, Cesc Fabregas, replaced Dennis’ mastery and conductorship. 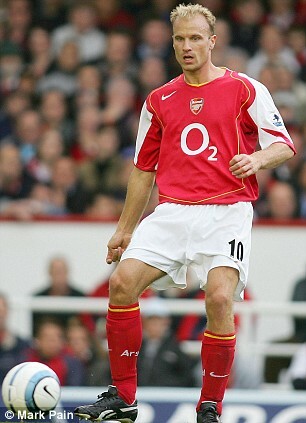 Around him, Arsene build another fine brand of football, which did not win us prices, but was always a joy to watch. We can only wonder what would have happened if Arsenal had been able to keep hold of its key players and strengthen the squad every year with one or two quality players, during the initial post-Highbury years. But winning is not everything, at least not for me, and I have great memories of how we played the game under conductor El Capitan. Since the departure of Cesc our football has seldom been of the Bergkamp and Fabregas standard. There have been moments in games, and sometimes even whole games, when we played beautiful football. But it is fair to say, Wenger has been struggling to get us back to the standards we have become accustomed to over recent decades. I have no doubt he can get us there again: his passion and vision are as good as ever; but I am wondering how he can do it. 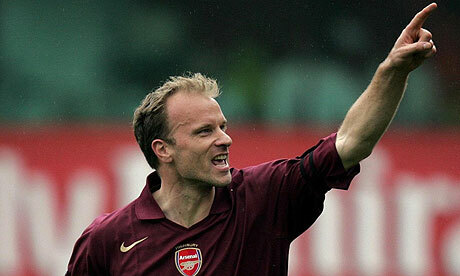 For me, Arsene needs a conductor in the middle, ideally in the ‘hole’ position. I have seen enough to believe that Ozil is a great player but not a conductor who shapes and commands the midfield. I have great hopes for Jack, the best young footballer I have seen in the game since Cesc, but I reckon he has not got the stamina/fitness yet to be a continuous force in our team. Ramsey is our ideal box-to-boxer but I don’t see him as a conductor in our team. In order to get back to full-on Wengerball, with now a better chance to win something in the process, we need to add at least a DM who can pass the ball as well. I have written enough about this recently, so will not elaborate much further. Suffice to say, we need a player in front of our back four who can defend, has great stamina and physicality, allows his fellow midfielders to play higher up the pitch and can pass the ball well (enough). This entry was posted in Uncategorized and tagged Arsene Wenger, beautiful football, Fabregas, Ozil, wengerball, Wilshere. Bookmark the permalink. nice one @ Skipper – hope you are having a good time in sunny scotland ! yes, if reports are to be believed and if Barca are willing to let him go then there is only one team he should be returning too in an ideal world. re-Gerry and his theory on Cesc being in london trying to convince his GF to come to london ? well, the GF already has an apartment and settled life in London, she has actually lived in LONDON a lot longer than Cesc – so this is my way of telling all of you that it might be the GIRLFRIEND trying to convince Cesc to move back home (her home is London ; ) as you can see, no such issues here and I wouldn’t imagine them going else where or leaving london, if they were to return to England. most of you may have known that already but for those who didn’t know – the move back to london makes sense for him and I believe, this is very much on the cards . RA has an inside scoop on this one as well, if memory serves ? returning to skippers question – I reckon he already has that player in Ramsey now, provided he stays fit for an entire season. the return of Cesc also makes sense in terms of timing – we have an aging Rosicky, Arteta , Santiago, and a very injury prone midfield of Ramsey, Jack Wilshere , Diaby. the picture of Cesc and caption sums it up for me “they lift you up – where you belong ” – that was marvelous ! It’s a no brainer for me. Get Cesc back NOW. That was a terrific post TA, it never occurred to me that you are a Dutchman, but all the same it makes it more juicier that you are one, little wonder you do talk of wengerball. Now to your post, i’d take Cesc back without giving it a 2nd thought any day but it wouldnt make any difference if we cannot sign an anchorman and a deadly finisher to finish off those passes…, heard we’ve agreed terms with Loic, the prospects is mouth watering already. Remember 2008/09 season when we were 2goals down against Portsmouth at Emirates and wenger made his traditional 70th minute double change of Cesc and Adebayor, that game ended 2-2 with Arsenal finishing the game as the stronger side. That fighting spirit has been missing from this present side, and i would like to see that again. Imagine a midfield that comprises of Cesc, Oozil, Santiago, Jack, Sven Bender/Song, Ramsey, with flame, Sicky, Coq, Eisfield and Zelalem on the bench. It’ll rival if not tear apart the top sides anyday. Tis so good to be back fellas. JB, are you saying you would play Ramsey in the hole or do you believe he can be our conductor in the b2b position? All Arsenal midfielders are just average players except Ozil. majority wont even make the bench for top 4 clubs except Carzola and Ramsey, Fabs will add what we’ve been lacking in our midfield for soo long. Huge loses to MCFC, Liverpool and Chelsea were due to lack of character. Arsenal midfield fears facing top four teams of which Fabs was not. Cesc faced those teams with one aim: to win. Cesc destroyed Chelsea, dominated MCFC, LVFC and he was never afraid of Man united like most of Arsenal current players. Some of AFc players dissapears during big games. Note you Fabs presence is felt during this big games. He played against Juve, Real Madrid and other big teams on their way to 2006 UCL finals. He is the player AFC is missing in big games. Calling his re-signing a luxury is abit too hush. What you may call it, AFC will continue struggling in big games. His BPL experience and vision is very vital for the GUNNERS to build on and mount a serious campaign not only in PL but also in UCL. Que Viva Cesc. Cant agree less with JB, but i still think Rambo is not there yet, there’s yet some part of his game that needs to be fine tuned and Cesc in the team, we can avoid burnout and injuries that’s cost us dearly in the seasons past. I understand u TA, but with such a striker in the side, it’ll give us an edge over other sides who knew how predictable we used to be. Dynamism i say and also to share the striking burden with OG. Its surprising no one is talking about Joel Campbell here. I disagree with you; in fact the opposite is true: Ramsey, Cazorla, Jack, Ozil and Rosicky are all top notch midfielders who can play in any team. What they need to shine is quality DM support and only Flam and Arteta come a bit short in our midfield. Agreed on Cesc’s fighting spirit though. Agreed we need to lighten the burden and Campbell might be the answer, Funminiyi. But I think OG will remain our main man. I can see your and many others point though, and I would not mind a top striker either. Michel, your so spot on with ur comment but all the same, i think you did injustice to the likes of Sicky, Jack(when fully fit), and flame. These guys are battlers with a “never say die” attitude. It is so unfortunate that the reported Serbia horse placenta cannot renew a player’s youth, else, i’d have suggested Sicky to go for it. He’s one of many that injury robbed of their youth. Maybe i’ll write a post about him someday. I think if we can also get Song back, no team in EPL or Europe will be able to bully us again. Ramsey is wasted in the hole in the sense that he finds himself in the hole or as a 2nd striker when the opposition tires down or when he finds some space there, anyway. The making of Ramsey and beauty of Ramsey was not this season, it was the season before that in 2012/13 when AW was literally playing Ramsey from RW TO RB and then to LW to LF – he was everywhere and this is what helped develop and mature his game and reach that next level. sure, he is not there yet but he is not far off either – he is our welsh Xavi . must all be average teams and not world cup winners for having such average players represent them – oh and didn’t mention Wales (Ramsey) since I thought you can do 2+2 on that one yourself. find me a better midfield of 4 in the whole of EPL @ Michel . good to see you around – yep, but Ramsey is actually someone we can all rely and depend on now – he is a big match player and this is something we didn’t even from a long time , agreed with the burnout factor ! it will mean bad news for the likes of Santiago , sometimes but other times, I think we can find a good solution and play a different formation i.e. 4-5-1 or a 4-6 with Cesc playing as a false 9 with Theo cutting in from the RW and possibly Poldi doing the same from the LW . it’s all good and realistic options to have in my opinion. the signing of Cesc gives us the luxury of taking Wengerball to the level we all desire and are so used to seeing in years gone by (Napoli at the Emirates last year and even better). Terrific post @TA! I agree, Cesc could very well be the missing link. My first team would have him as a second striker behind OG. TW, Ramsey, Ozil and our DM/Arteta behind. I’d be v happy if we get him, along with Geizmann/DeMaria, Schniderlin and a striker (not benzema). Great squads have great benches, and Jack, Santi, Rosicky, ox would give us excellent depth. I have had my doubts how we could accommodate him, I mean look at our midfield, diaby, ox, wilsere, ramsey, rosicky, ozil, Walcott, carzola,. I didn’t include arteta and flamini as they are Defensive minded players. We have joel Campbell returning also. with him returning , obviously rotation will be key with players which I don’t think he will mind or the other players will. Plus in games we could revert to a 4 4 2 with cesc playing the bergkamp role, he played upfront for spain in euro 2012 and they won the cup. Also James bond your comment on ramsey playing various positions and the making of him is spot on. So many commentators articles and friends say that’s what happens when you play a player in his natural role ( j redknapp, micheal owen, carragher, hoddle, t Sherwood) now if any of them had knowledge they would know that wenger believes in the dutch philosphy – players being comfortable anywhere on the pitch. Wenger knew to build his confidence he had to take him back to basics of a successful philosophy. JB, excellent comment at 14.34 and all agreed. Sometimes, I would play Jack in the hole with Ramsey and Fab behind him (and the DM rested). It just shows you the talent we have in our squad when Cazorla , Wilshere, Podolski are stuggling to get in if 1 or 2 SQ signings arrive. Plus OX, Rosicky, Sanogo and Diarby etc —- i could go on and on! We have got to buy a goal keeper , no 2 ways about it. I really like the thought of Diarby being in the DM position, kind of like Mertesacker-esque in the DM with the height and physically making them long legged tackles. But of course they is injury concerns, they may be unfair and he may be fine from here on,the summer off should help. But cover is the best option for now. I like the thought of us playing 4-4-2 more next season , against weaker sides it really should happen , mix it up a bit i say. I won the league today with Arsenal on FIFA 12 scoring 146 goal a goal difference of +100 🙂 . I played the Arsenal way, the only way i know, it was my first ever go at the league and won, sim-matches about 7 or 8 times every time it messed me up so i knew i would do better. Some of you said it was dream team stuff and i agree a bit, but i think its ok to as long as you don’t get your heart set on signing this player or that player. Keeping it in perspective. Also the formations and where a player would fit in to the team is exvactly what Wenger will be doing. So as long as we just speculate about who is coming it ok i think. I trust Wenger and look forward to him letting us know who he buys. We know he wants more goals – we know he wants a keeper. He had his best defence in years and he would have been happy except Sagna, or Jenkinson may be ready, i would be happy knowing that Carl a gooner would give everything for the club. so i would be ok with him but you still need 2 so we need a RB. Cesc is definately a luxury , but we have big banners of him still up at the Emirates as you walk over the bridge. A living still playing near his prime Arsenal legend if aviiable just to good to not take back. do we have a match winner in our squad?someone who will pick us up when we are down,take the game by the scruff of the neck n turn it around.cesc is our man because i guarantee right now most of our midfielders are having sleepless nights when they hear ‘EL CAPITAN’ might return. If “El Captain” returns then he will be returning to a midfield that might not be as good as the midfield of Barca when they were at their peak, however , it’s not that far off either. let’s not kid ourselves, if he returns then he won’t be the first name jotted down in the midfield as he used to be when he left – compare the midfield of when he left to what we have now and I’m sure you can appreciate where I am coming from. so saying most of our midfielders are having sleepless nights at the very thought of him returning might be stretching it a tad – if anything, then he will need to start all over again and not take his place or position for granted cause believe you me – Ramsey, JW , Ozil, Santiago and Rosicky are no pushovers and if he returns expecting the red carpet treatment then there is 0 chance of that happening – boys are men now and have come a long way ever since he left us. saying that, healthy competition for places is always good unless Cesc and Ramsey play in the double pivot at the expense of captain Arteta . nice comment “a” and welcome to BK. where are the likes of Milo, Fozzie B, JGC-Damus, Glic and 17HT today ! Henrychan has also gone missing along with AB, Alcide and the Aussies !!! Final article! Thanks for all the support! Evening JB and other BKers! A good discussion this one, and not an easy one. Heart hopes for the return, head says it won’t happen. The question is how much Arsene leans on sentiment in any decision here? Why would I love it to happen? Well same as everyone else here. Fab is the loss I’ve felt more than any player since Brady; it feels like he belongs here and only here. And yes he would bring something different to our midfield, even with the talent we already possess. The combination of drive, vision and goals would be wonderful to have. Why do I think it won’t happen? In short, because it will block off the development of one of our prime young talents, and I can’t see Wenger tolerating this. Its not the risk to Pod or Santi that would trouble Wenger, but if it held back Jack, Ramsey or the Ox, then I think this would be a veto. On a positive note about our current squad, we tend to look at Fab and think of him as he was relative to those around him (the young Jack and Rambo). And yet, our midfield as it is is transformed. I would not play Cesc ahead of Jack on present form. And we need to remember that the Ozil we bought for £42m was the one pulling the strings at RM in recent years, not the one that was adapting to the PL last season = and of whom I expect great things in the season ahead. If we were to spend big on Fab I suspect this would be instead of some other major purchase rather than as well – like TA I am more relaxed about the striker issue and more concerned about a quality DM and more cover for the back line. Does our team need Fab more than a quality DM? I fear not. So, I would cheer if it happened (heart not head), but I can’t see it in truth; the day we signed Ozil seemed to me like the day the return of Fab (as a prime player at least) was lost as an option. Interesting responses TA? I have clicked on to a couple of sites that did votes on Cecs’s return, and the ‘Yes’ vote was overwhelming. So PG, if Cesc is a luxury I would agree .. but only when luxury means ‘the icing on the cake’? As to the rest of the midfield, they will still have their part to play. I am half with you on Ramsey. JB. As a box to box player I see two issues; one, he spends a lot of time too near the wrong box, defending. In my ideal world, if we played a ‘diamond’ shape midfield, Ramsey would be one of the middle pair; secondly, he is not so much a ball-carrier like Jack, as oppose being a runner from deep and receiving the ball. This is why you need a Cesc, a Mesult, or a Santi to supply the right passes. I also see Remy, if signed, would limit Ramsey attacking role? However, one could speculate on a different flexible formation coming out if we do get a pacy left sided player. So with a fit Walcott (or, cough .. Bellerin) you could make the overlapping runs of our wingbacks redundant. This should make us more secure from counter attacks? With flexibility I can see the likes of Poldi and Remy(or A.N.Other) being accommodated alongside of Giro, and where the AM’s are combinations of the creative midfielders, and runners like Rosicky and Ramsey. But we need that left sided pace and a DM? Nice concise article. I don’t do ‘Discus’, so I could not comment. JB- Thanks for the correction on Cesc’s other half. The last I heard he had ‘shacked up’ with a Spanish player’s ex, and I assumed she was Spanish? Perhaps that did not work out? yes @ AB – I can see where you are coming from – if he comes good and if he doesn’t leave Barca, then no harm done either – my only worry is that he leaves Barca and then joins one of our direct rivals – that be a killer, indeed. no, actually she was married to a business tycoon based in London, as she is from Lebanon (not Lesbania) , she was a mother of 2 and married to the fella and Cesc nicked her off him – there was a massive tussle in court over the asset divide in London when the divorce was going through and so on – this is where it all got messy as Cesc supposedly purchased one of the apartments which was put up for sale and then that was returned to the lass – all very complicated, yet what matters is that she and her kids (now 3, one of Cesc) are UK based, Primarily and them coming to UK is a frequent thing, she comes frequently and Cesc as well, every month or every other month – this time his visit has been under the spotlight due to reasons well circulated in the media but I think it was just “another” visit with the girlfriend at her home (or the one that Cesc gifted her). Nice article, lets hope your right and Wenger win manager of the season and wins the title.He is a great manger and if all things were considered then heis challenging for being manager of the season even though the baron last 8 years. I believe he nearly paid for our new stadium on him own, his skills are not just on the pitch. I drafted out a blog on Cazorla and Ozil half way though the season, but choose not to let it out. It was basically about some fans in the crowd feeling that the 2 could not play together, both wanting to do the same kind of roles. I feel they sorted it out by the end of the season, Santi takes the corner from 1 side Ozil the other, free kicker and both being great number 10’s etc. Now add Cesc Well you see the problem. It will take time to work it all out. Ozil will be lot better next season, after adjusting to the premier league. Keeper back 4 we know. For me 2 DM’s is just not always needed,. V the top 4 teams. maybe.??? Fabregas is giving me a headache now. We need a striker mire then him and a keeper. Il go back to what i said Cesc would be a luxury on top of an already embarrassing amount of world class midfield players. I am totally with you,, if Cesc leaves Barcelona then it has to be to us if its to England. If not then i am not to worried at all. It could just cause to many problems between Ozil, Santi and Fabregas. Ozil and Santi seems to have just sorted out there roles between themselves now at the end of the season. yes, you have your reservations about Cesc and to be fair to you, they are justified and valid reservations to have – but the thing to remember is that Cesc is different to both Ozil and Cesc in the sense that he can run without the ball and make those runs which can be spotted by players of Ozil, Santiago and even Ramsey’s ilk. both Ozil and Santiago are sort of similar in the sense that they like the ball played to their feet – Cesc is an upgrade on Ramsey in the sense that he can run without the ball into dangerous areas as long as Ramsey/DM stays behind to give the required protection and he can interchange with Santiago on the left or theo/rosicky/Ox on the right. Cheers for further comments and nice to see AB back. Is Cesc a luxury? Definitely not; as per my post today, Cesc has not been replaced and as a team we NEED him desperately to get back to Wengerball. I would go as far as saying I would sacrifice a new DM for Cesc’s return any day. Move TV in the DM role, Rambo next to him and Cesc in the hole with Ozil and Theo/Ox/Cazorla/Jack on the wings and back up. Van Gaal to bring in a few new Dutch faces at OT…? Total, that was a beautiful piece of writing by YOU. Always keeping it classy. On Cesc, my way would be this: I would happily buy him back, but I expect we could be in a bidding war ( depending on our rights negotiated in the original sale ) ,, I think its worth alot to us to keep him away from rivals also. I would absolutely sell santi ( or another, maybe poldi )to fit him in better and save us some of the cost. Santi is saleable for sure, not that young, and would be worth little at the end of his new contract — , his fresh contract doesnt hurt his value at all. As it is, I am already annoyed at how many players run down their contracts and we get nothing back. Now we are in getting into similar situations with podolski and vermaelen. We need to make decisions on those and be more practical. I really hope our guys ( the braintrust, mostly Arsene ) really have a plan, or at least some good ideas and options lined up. Agreed re Santi. Good to see somebody else who has doubts about his first team credentials. Did someone say sell Santiago Cazorla? Blasfarmy i won’t have the Spanish god name forsackon . !ha ha ha ha ha The wizard has 2 great feet, he is the Ronnie O’sullaivan of the football world. Rotation is the key, We will have a lot of games next season and some should be happy to take a break and not get burnt out. As Wenger said, “we are very lucky to have him”. His first season, player of the season. Rarely ever injured, loves playing football, scores goals. His free-kick in the final. Bentdner and Kallstrom are going so we have space for Cesc. If we were to sell, i would sell Rio Miachi and interestingly i am looking at the Arsenal team on there site and Park has been removed, even though Sagna, Kallstrom and NB52 are still on it. I think the best football we played in 2013/14 was v Napoli at home. Cesc made adebayo score 20 plus goals,bring him back n giroud will definately score 20+. I like him, PG, but I dont think he deserves a starting position necessarily. He is slow and often ponderous and I reckon a lot of teams have figured him out. Like my dog Henry doing a nr2, he turns around the turd/ball for eternity before he decides which foot to use. I don’t like him in the hole as he does not move too well with the ball forward (does not penetrate the space in front of him often enough). If and when Theo is fit and plays on the other ‘wing’, I dont mind Cazza playing on the left wing, but when we also play the Pod on the wing I reckon we lose speed and penetration. The first half was a bit special, i have just been watching a bit and will watch it all again. Interestingly in your favour Cazorla did not play in that match. Cazorla i believe can plat anywhere but Ozil is the number 10 for me, only way that could be affected is if Cesc came. Ramsey, is the first name on my team sheet for me. He has become vital for Arsenal now. If he stayed fit we probably would have won the league.After watching him back in that game, plus the Theo injury if them 2 were fit i am pretty sure we could have, we were flying til they got injured. 2-3 great signings and Wenger can take a good sprint at winning the champions league, i believe that. If Cesc comes the team will change quite a bit, PG. But if he is not, which to be fair, is the most likely outcome, I reckon that not Ozil or Santi but SJW – who wears the nr.10 shirt afterall, will be our best option in the hole. Super DM and Ramsey in the pivot, Jack in front, Ozil and Theo on the ‘wings’ and OG in front of them….? Got to go, catch you later. Sky just said Arsenal are not interested in signing Cesc. Bercelona want to sell , papers in Spain are saying Chelsea want him but this is not true, City are not after him which leaves United most likely . We get first refusal so 1 can only imagine Wenger does not see how he would fit in, unless Wenger is keeping his cards close to his chest . Very possible , but a realiable source says Arsenal not interested . The literature stuff is extremely interesting. I wish I could comment to it, but I cannot. I always thought I might get to the point with my own Spanish that I could read Garcia-Marquez in that language… Alas, the more I learn the more I know I need to learn… 100 years is the recommended starter, no? To me, Cesc is at his best breaking down the parked busses, i.e., playing against the lesser clubs and helping us get the three points. (But that wasn’t our real issue this past season…) He has a certain measure of physicality just on his size (he towers over Xavi and Iniesta for example) but he lacks pace. His eye for putting players in–or even passing the ball to others who might put the runner behind the last line is exquisite. And, if defenders let him ease forward, he’s got no trouble being the guy who takes the shot. All that being said, the game is evolving and Cesc, I think would only make our narrow approach more limited. The way I think AW now wants to play is with 5 MFs (or at least 4 and the CF) all happy to move forward and aft, wide and narrow. The notion of a conductor (a MF anchor?) is pleasing as it implies someone who will take responsibility. Mesut Ozil’s personality seems not to fit the bill and Gerry is right that Ramsey is a runner. He will do it, but with each touch he takes (esp. when they’re in our half) the potential for calamity rises. So, I agree, Jack Wilshere is the man. Of course, questions of fitness linger (like the smoke from the cigarettes he enjoys?…) and he’s a smaller man, with maybe a bit more need for referee protection. He’s learned some moves from Cesc (that running onto well-weighted passes is super-sweet…) but is also quite a bit more one-footed. You could start with Chronicle of a death foretold. It is about 100 pages and reads like a train. More later – great comment. 17, has 17 junior considered ‘The Three Musketeers’ by Dumas…. Great book: well written and full of adventure. Excellent description of Cesc and no surprise you are protecting the other (little) Spaniard. The big point in my post is – other than that beauty matters – is that we need a conductor in an Arsene team. 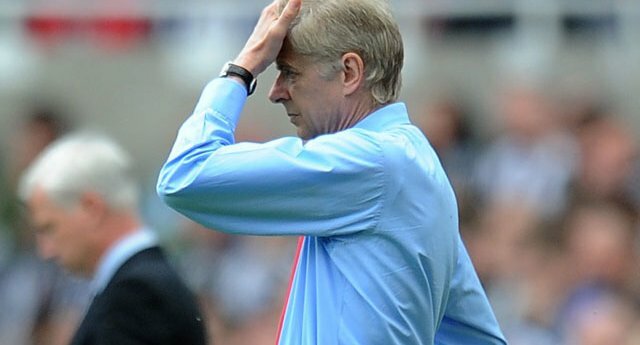 The game might evolve but Wenger cannot do without a conductor. Wilshere is indeed to injury prone at the moment and as it is now I see little scope for us making the next step any time soon. So Cesc is a necessity for me. I agree he will not go to a PL rival, but if he is available again, Arsene should go for him.